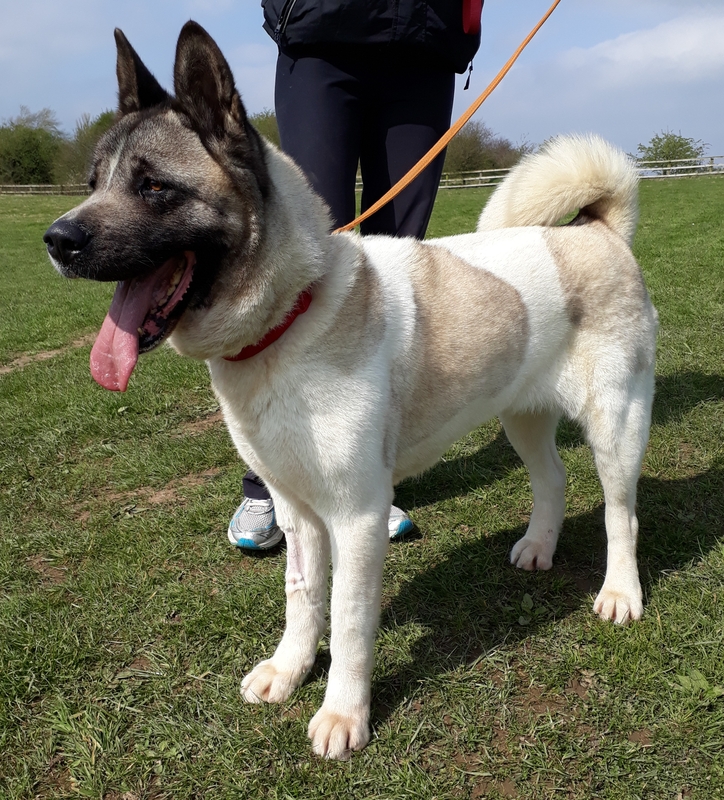 Zena is a large Akita who has come into the care of the KWWSPCA from the Kildare Dog Pound. She is about 6 years old and is very good natured. She is very good with people and loves their attention, and is very affectionate with humans.. The persone who found her has an 11 year old sone, and Zena loved him. She walks very well on the lead and has obviously has been trained. We would like her to go to a home where the new owners would have some experience of large breed dogs. She would also be best in a home where she is the only dog. Zena has been neutered, microchipped and vaccinated and can be visited at the KWWSPCA Animal Shelter near Athgarvan from 1.00 – 3.00 Mondays to Saturdays. For more information about her, please call 087 1279835 or email kwwspca@gmail.com. We ask for a minimum donation of 150 euro when we rehome a dog, to partly cover their veterinary and other costs, and a home check applies.